IRVINE, California, June 1, 2017 – McDermott & Bull, one of the largest executive search firms within the Hunt Scanlon Top 50 Recruiters list, as well as one of Forbes’ Best Executive Recruiting Firms, is pleased to announce the successful appointment of Joe Kidd as Vice President of Operations with Mezzetta, a family-owned specialty food company. Kidd is an experienced operations leader with expertise in driving continuous improvement to increase efficiencies and product quality, while also cutting costs and improving profits. His career has centered in winery operations and his formal education in chemistry and management compliments his foundational development as an operations professional. Prior to joining Mezzetta, Kidd served as Vice President of Winery Operations at Treasury Wine Estates, which acquired the wine business from Diageo. Kidd received his Bachelor of Science in Viticulture and Enology from University of California, Davis and his MBA from Georgia Institute of Technology. Mezzetta Foods is a fourth generation, family-owned specialty Food Company based in beautiful Napa Valley, CA. They are a vibrant and growing company with over 75 years of success in the Specialty Foods industry, bringing delicious and healthful foods from the Mediterranean to the American table. Like so many American success stories, this one has its roots in Italy, where delicious food and wine were central to the family experience. Mezzetta is the #1 brand of specialty olives and peppers in the United States, and the company’s Napa Valley Homemade line of pasta sauces is among the fastest-growing products in the specialty pasta sauce category. At Mezzetta, quality is king, and their fine products are a result of retaining only the most talented and skilled employees. Their fast-paced expansion in distribution, production and sales compels them to invite passionate, energetic and qualified employees to join their “family” team. 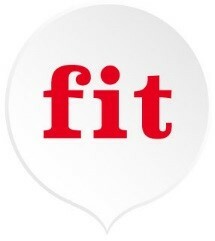 We’re the fit experts. We believe creating relationships that truly fit makes a powerful difference in our world. We love placing top leadership and have developed a comprehensive approach to executive search that provides optimal outcomes by ensuring functional, cultural and personal fit. Click HERE to learn more. McDermott & Bull has been changing the lives of its clients, candidates, and employees since 2001. All of the practice leaders within the firm’s Executive Search business have deep executive experience and are uniquely positioned to address the dynamic leadership demands of public and private companies across nearly every industry. McDermott & Bull’s Interim Leaders team is equipped to service the needs of its clients by placing senior-level executives into temporary roles during critical periods. Additionally, the firm’s Executive Network program provides valuable resources for and offers opportunities to build meaningful relationships with thousands of C-Suite and VP-level executives throughout the country.